Oroya fever or Carrion's disease is an infectious disease produced by Bartonella bacilliformis infection. 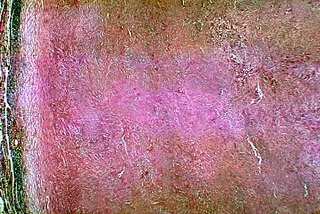 Bartonella bacilliformis is a proteobacterium, Gram negative aerobic, pleomorphic, flagellated, motile, coccobacillary, 2–3 μm long, 0.2–0.5 μm wide, and a facultative intracellular bacterium. It is also called the hematic phase. The most common findings are fever (usually sustained, but with temperature no greater than 102 °F (39 °C)), pale appearance, malaise, painless liver enlargement, jaundice, enlarged lymph nodes, and enlarged spleen. This phase is characterized by severe hemolytic anemia and transient immunosuppression. The case fatality ratios of untreated patients exceeded 40% but reach around 90% when opportunistic infection with Salmonella spp. occurs. In a recent study, the attack rate was 13.8% (123 cases) and the case-fatality rate was 0.7%. Hepatomegaly is the condition of having an enlarged liver. It is a non-specific medical sign having many causes, which can broadly be broken down into infection, hepatic tumours, or metabolic disorder. Often, hepatomegaly will present as an abdominal mass. Depending on the cause, it may sometimes present along with jaundice. Jaundice, also known as icterus, is a yellowish or greenish pigmentation of the skin and whites of the eyes due to high bilirubin levels. It is commonly associated with itchiness. The feces may be pale and the urine dark. Jaundice in babies occurs in over half in the first week following birth and does not pose a serious threat in most. If bilirubin levels in babies are very high for too long, a type of brain damage, known as kernicterus, may occur. The most common findings are bleeding of verrugas, fever, malaise, arthralgias (joint pain), anorexia, myalgias, pallor, lymphadenopathy, and liver and spleen enlargement. Carrion's disease is caused by Bartonella bacilliformis . Recent investigations show that Candidatus Bartonella ancashi may cause verruga peruana, although it may not meet all of Koch's postulates. There has been no experimental reproduction of the Peruvian wart in animals and there is little research on the disease's natural spread or impact in native animals. Diagnosis during the acute phase can be made by obtaining a peripheral blood smear with Giemsa stain, Columbia blood agar cultures, immunoblot, indirect immunofluorescence, and PCR. Diagnosis during the chronic phase can be made using a Warthin-Starry stain of wart biopsy, PCR, and immunoblot. Psittacosis—also known as parrot fever, and ornithosis—is a zoonotic infectious disease in humans caused by a bacterium called Chlamydophila psittaci and contracted from infected parrots, such as macaws, cockatiels, and budgerigars, and pigeons, sparrows, ducks, hens, gulls and many other species of birds. The incidence of infection in canaries and finches is believed to be lower than in psittacine birds. Leptospirosis is an infection caused by corkscrew-shaped bacteria called Leptospira. Signs and symptoms can range from none to mild such as headaches, muscle pains, and fevers to severe with bleeding from the lungs or meningitis. 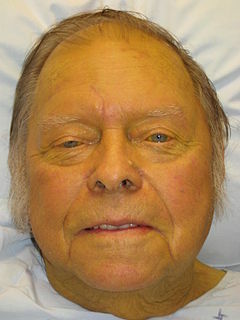 If the infection causes the person to turn yellow, have kidney failure and bleeding, it is then known as Weil's disease. If it also causes bleeding into the lungs then it is known as severe pulmonary hemorrhage syndrome. Miliary tuberculosis is a form of tuberculosis that is characterized by a wide dissemination into the human body and by the tiny size of the lesions (1–5 mm). Its name comes from a distinctive pattern seen on a chest radiograph of many tiny spots distributed throughout the lung fields with the appearance similar to millet seeds—thus the term "miliary" tuberculosis. Miliary TB may infect any number of organs, including the lungs, liver, and spleen. Miliary tuberculosis is present in about 2% of all reported cases of tuberculosis and accounts for up to 20% of all extra-pulmonary tuberculosis cases. Fungemia is the presence of fungi or yeasts in the blood. The most common type, also known as candidemia, candedemia, or systemic candidiasis, is caused by Candida species, but infections by other fungi, including Saccharomyces, Aspergillus and Cryptococcus, are also called fungemia. It is most commonly seen in immunosuppressed or immunocompromised patients with severe neutropenia, cancer patients, or in patients with intravenous catheters. It has been suggested the otherwise immunocompetent patients taking infliximab may be at a higher risk for fungemia. Eosinophilic pneumonia (EP) is a disease in which an eosinophil, a type of white blood cell, accumulates in the lung. These cells cause disruption of the normal air spaces (alveoli) where oxygen is extracted from the atmosphere. Several different kinds of eosinophilic pneumonia exist and can occur in any age group. The most common symptoms include cough, fever, difficulty breathing, and sweating at night. EP is diagnosed by a combination of characteristic symptoms, findings on a physical examination by a health provider, and the results of blood tests and x-rays. Prognosis is excellent once most EP is recognized and treatment with corticosteroids is begun. Bartonellosis is an infectious disease produced by bacteria of the genus Bartonella. Bartonella species cause diseases such as Carrión´s disease, trench fever, cat-scratch disease, bacillary angiomatosis, peliosis hepatis, chronic bacteremia, endocarditis, chronic lymphadenopathy, and neurological disorders. Lábrea fever is a lethal tropical viral infection discovered in the 1950s in the city of Lábrea, in the Brazilian Amazon basin, where it occurs mostly in the area south of the Amazon River, in the states of Acre, Amazonas and Rondônia. The disease has also been diagnosed in Colombia and Peru. Daniel Alcides Carrión García was a Peruvian medical student after whom Carrion's disease is named. Bartonella quintana, originally known as Rochalimaea quintana, and "Rickettsia quintana", is a micro-organism transmitted by the human body louse. 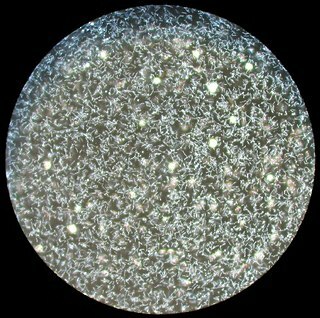 This microorganism is the causative agent of the well known trench fever. This bacterium caused outbreaks of trench fever affecting 1 million soldiers in Europe during World War I. Accelerated phase chronic myelogenous leukemia is a phase of chronic myelogenous leukemia in which the disease is progressing. In this phase, 10 to 19 % of the cells in the blood and bone marrow are blast cells. In the accelerated phase, these leukemia cells grow quickly. Alberto Barton, was a Peruvian microbiologist who discovered the etiologic agent of Carrion´s disease or Oroya fever. The bacteria was named: Bartonella bacilliformis, in his honor. It is the type species of the genus Bartonella, and family Bartonellaceae. Bartonella ancashensis is a bacterium from the genus of Bartonella which has been isolated from blood from patients who suffered from verruga peruana in Caraz in Peru.Bartonella ancashensis is a human pathogen which may cause verruga peruana. ↑ synd/3112 at Who Named It? 1 2 3 4 5 6 7 8 9 10 11 Huarcaya, Erick; Maguiña, Ciro; Torres, Rita; Rupay, Joan; Fuentes, Luis (2004-10-01). "Bartonelosis (Carrion's Disease) in the pediatric population of Peru: an overview and update". Brazilian Journal of Infectious Diseases. 8 (5): 331–339. doi:10.1590/S1413-86702004000500001. ISSN 1413-8670. ↑ "Carrion's disease - RightDiagnosis.com". www.rightdiagnosis.com. Retrieved 2016-11-02. 1 2 3 4 "Bartonella Infection (Cat Scratch Disease, Trench Fever, and Carrión's Disease)". www.cdc.gov. Retrieved 2016-10-17. 1 2 3 4 5 "Bartonellosis - NORD (National Organization for Rare Disorders)". NORD (National Organization for Rare Disorders). Retrieved 2016-10-17. ↑ Maguina C, Garcia PJ, Gotuzzo E, Cordero L, Spach DH (September 2001). "Bartonellosis (Carrión's disease) in the modern era". Clin. Infect. Dis. 33 (6): 772–9. doi:10.1086/322614. PMID 11512081. 1 2 Maco V, Maguiña C, Tirado A, Maco V, Vidal JE (2004). "Carrion's disease (Bartonellosis bacilliformis) confirmed by histopathology in the High Forest of Peru". Rev. Inst. Med. Trop. Sao Paulo. 46 (3): 171–4. doi:10.1590/S0036-46652004000300010. PMID 15286824. ↑ Camacho, Cesar Henriquez (7 December 2002). "Human Bartonellosis Cause By Bartonella Bacilliformis". University of Pittsburgh. University of Pittsburgh. Retrieved 2 November 2016.